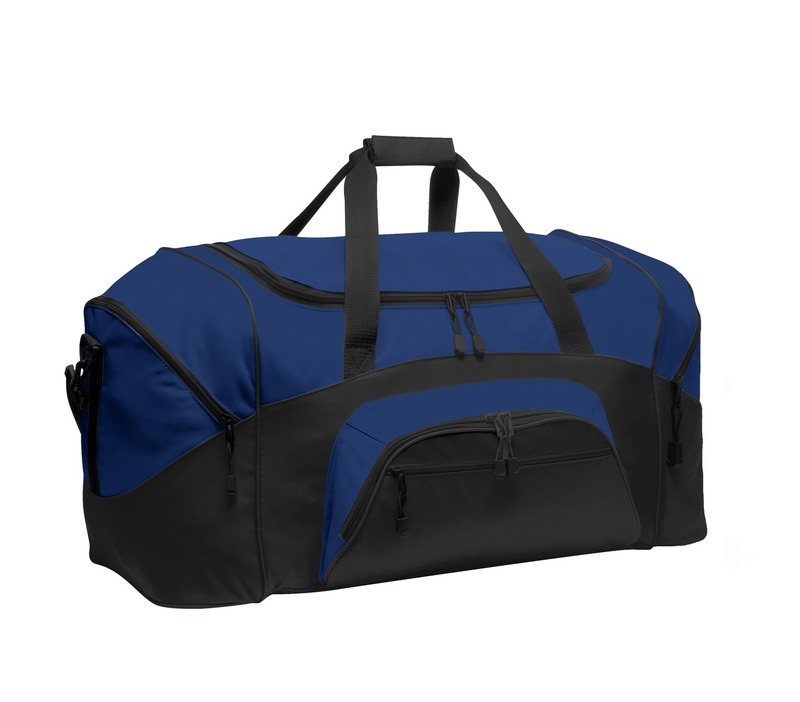 Our best-selling, budget-friendly duffel is sized for for sport gear. | 600 denier polyester canvas D-shaped zippered entry for easy access in main compartment Two large zippered end pockets Two exterior zippered pockets on front Padded handle Detachable, adjustable shoulder strap Two front zippered pockets Two large side pockets Dimensions: 12.75'h x 27.25'w x 13.5'd; Approx. 4,690 cubic inches Note: Bags not intended for use by children 12 and under. Includes a California Prop 65 and social responsibility hangtag .